You will earn 1436.00 bonus points. ? The Voom Table Is The Perfect All-Purpose Size At 48" Diameter. Practically Designed In Your Choice Of Serviceable Hg White Or Walnut Wood. 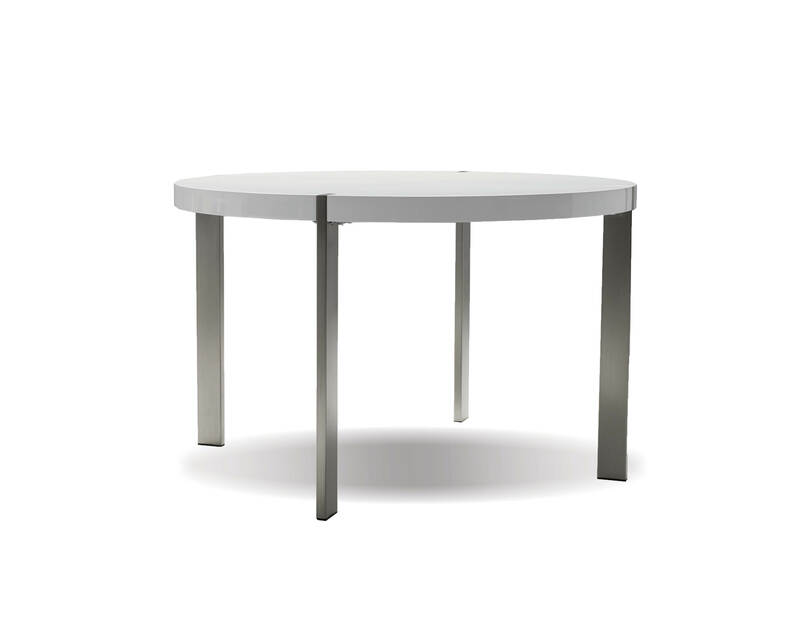 The Brushed Steel Legs Run Straight Through Flush To The Top Of The Table Surface Creating A Nice Design Detail. Perfect For Sunday Night Dinners, Poker Night With The Boys Or Afternoon Tea With A Good Friend.